Touring Australia: Thegoa Lagoon and reserve. 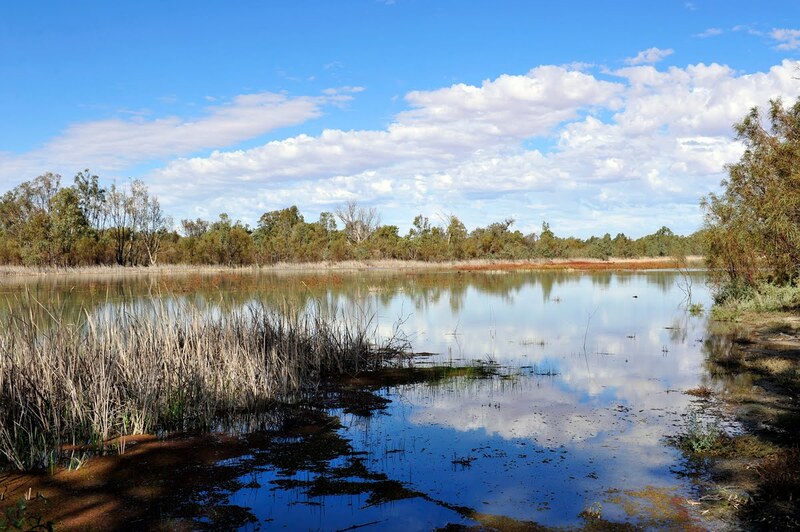 This lagoon is a Billabong which used to be the main section of the Murray River. 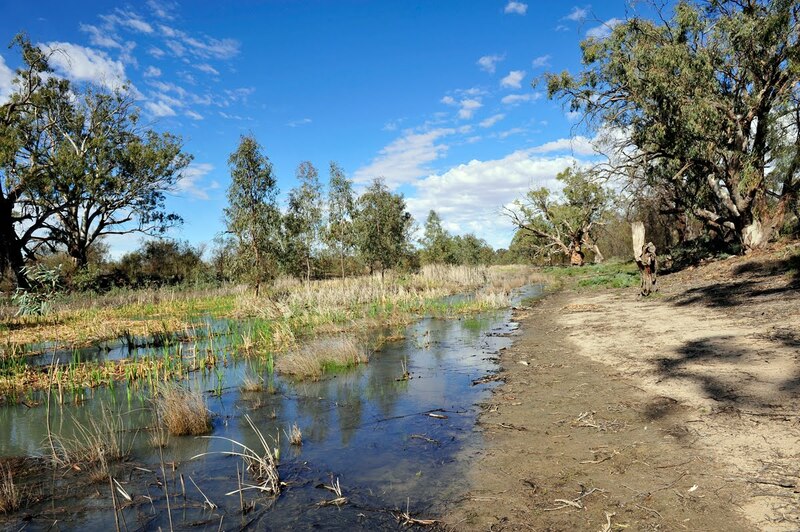 The river cut across the land opposit where the Darling River enters the Murray leaving two bends of the original river to form this Lagoon or Billabong.